The smartphone industry has expanded drastically through various economic groups in India, the mid budget phone market is bustling with activity. 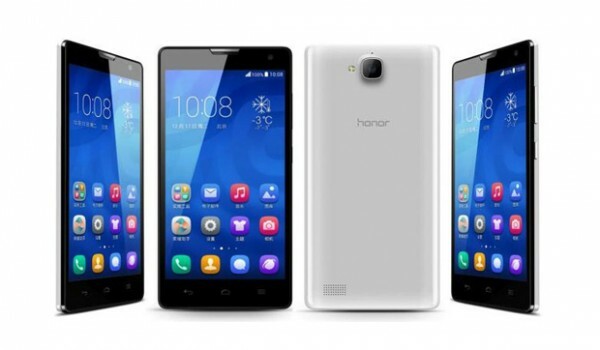 Huawei a reputed Chinese multinational networking and telecommunication equipment and service company has developed an interesting Honor 6 mobile brand, it is filled with high-tech processors offered at a mid range price of Rs 20,000. HTC an acclaimed Taiwanese based high-tech computer corporation brand has decided to add excitement into the mid budget market stream and has launched its classic HTC One M8 Eye devise. It is a tough decision to pick between the two, let’s compare and decipher the more desirable product. Honor 6 sports a splendid design and sources have found it to be exceptionally captivating and say that it is strikingly similar to a high-end iPhone 4 brand. It is a lengthy slender phone with a professional built contributed by a chrome frame. It is a light weight phone and weights only 130g, and the effect of lightness is on par with its mid-range devise competitors. The handling effect is smooth, on the right is power key and volume rocker, and beneath there is access to micro SD card and micro SIM. The width dimension of the phone is narrow and according to the buzz it is the slimmest devise in the market. 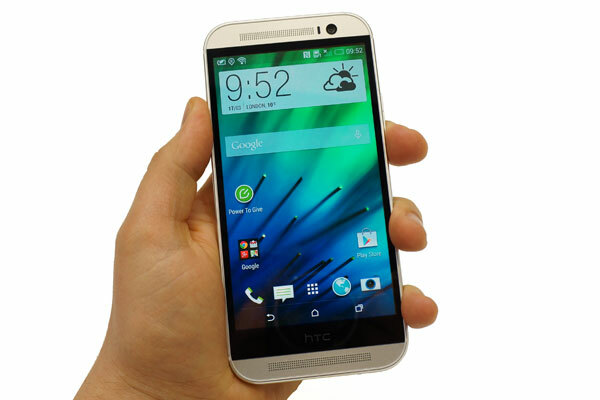 The design architecture of HTC One M8 Eye is said to be similar to the earlier model HTC One M8. It is difficult to decode distinctive differences between the two phones; the design like any other HTC brand is splendid and professional. It is layered with refined metal finish, and the aftermath quality output is on par with HTC One M8. It is a phone that can be carried around, but is slightly on the heavier side and weighs 160g and its thickness dimension is 9.4mm. Honor 6 is a vivid 5 inch phone with an admirable resolution power of 1080×1920 pixels and its pixel density power is 445 ppi. The colour output is phenomenal and the contrast is great, the viewing angles are exemplary. The colour layering is top class at every width and breadth of the phone and it is an ideal devise to engage in life-remembering video and movie watching encounters. The colour display technology of Honor 6 is among the best in the mid range phone market, and the mystery behind it is Huawei’s new line of potent display innovation. The company has incorporated two additional features, to just create two modes of screen viewing experience, and the magic happens via default display settings, users just have to switch the screen on, and each time a different wallpaper pops up. It is just stunning for those who desire new smartphone adventure. The display of HTC One M8 eye is professional and pretty eye candy like its other counterparts. It flaunts a vibrant 5-inch panel with 1080P resolution power enhanced by the rigid Gorilla Glass 3 casing. The vibrancy of the screen is dazzling stuffed with exemplary colour co-ordination that feels too good to be true and the viewing angles are great and the visibility is quite pronounced even under raging sunlight. The screen quality is phenomenal and among the best in the mid-budget phone market. Huawei Honor 6 operates on advanced Android KitKat 4.4.2 software and the company has inserted its innovative Emotion user interface technology. The design panel of the phone is simple, and is not crowded with many apps and themes. The company has pre-installed a range of apps and the user interface is designed to offer sufficient storage space, it has a pre-installed accelerator that clears up the old apps and makes room for unloaded RAM. The operation is now smooth with minimal room for hang ups. The software has three power saving modes such as ultra, smart and normal, and there is a virus scanner as well designed on home screen. HTC One M8 eye is fitted with pioneering Android 4.4.4 KitKat software that functions with a revolutionary Sense 6 user interface. It is admirably versatile, with minimal lag between various browse processes and app swiping and the movement of apps happens more frequently in vertical format than horizontal. The company has introduced intriguing novel app features on the phone such as Zoe camera and car mode stuffed into gallery, and also the familiar BlinkFeed news aggregator. The phone also supports many interesting apps such as backup app, Polaris office, kid’s mode and Beats audio chip. Huawei Honor 6 functions on 5 megapixel secondary camera and 13 megapixel primary shooter. The proficiency level of back camera is proficient and the outcome is contributed by the intense megapixel count. Users can capture innumerable images with Honor 6, the image quality in bright sunlight is excellent, every bit of detailing is distinct and the colour output is marvellous. The image quality however does diminish as the frequency of sunlight reduces. The full HD video recording power of the phone extends to maximum capacity of 30FPS, and the camera has a series of features. It is the camera power of HTC One M8 Eye that makes it distinctive in its class; HTC has changed the structure of rear camera. It does not have the 4 megapixel camera anymore and the company has coined an interesting term to it called Ultra pixel camera. The 4 megapixel rear camera is replaced with 13 megapixel camera as well as depth sensor. The depth sensor is a signature camera feature of the phone. Huawei has engineered the phone with U-Focus camera feature, and it is a distinguishing trait, using the features users can modify the position of image after the picture is taken. HTC One M8 Eye is engineered with dual tone flash which makes it ahead of its competition and its arch rivals are iPhone 6, LG G3, Xperia Z3 and Samsung Galaxy S5. It is a classy phone to engage in endless selfie moments contributed by the 5-megapixel camera and the video capturing output is commendable as well and is said to be superior to LG, Sony and Samsung phones. HTC One M8 is ahead of Huawei Honor 6 with regard to camera design and capturing proficiency. Honor 6 has a better display resolution power and offers superior handling power created by its 130g weight and it also outweighs its competition with regard to colour co-ordination. How to open iOS Apps and Games on Android Phone or Tablet?